Ozone in your swimming pool creates a chlorine free, safe environment for your family and friends to enjoy. Ozonated water is free from water-borne pathogens as well as toxic and potentially harmful elements present in our water. 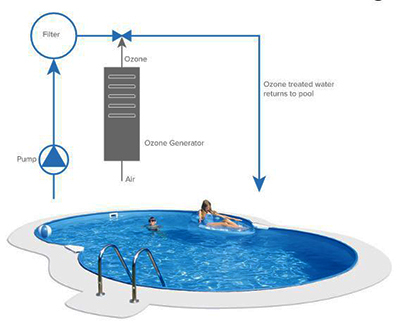 Swimming pool ozone systems are economical and eco-friendly. 304 Stainless Steel, laser cut.